5.4 x 3.9 x 5.1 in. Available since late July 2014, the Panasonic FZ1000 carries a list price of US$900, a full US$400 less than the competing Sony RX10. That makes the new model nearly one-third cheaper than what is, realistically, its only significant fixed-lens rival, and that's huge news if you're in the market for a large-sensor, long-zoom camera! 08/07/2014: Field Test Part I: Panasonic's mighty megazoom takes on the Tomato Festival! 11/11/2014: Field Test Part II: It's time for a large-sensor, long-zoom head-to-head! The Panasonic FZ1000 is one of the most capable cameras available this side of $1,000. Curious to read about other options in this space? Check out our best compact camera for $1,000 article! Finally, the large-sensor, superzoom camera category has a battle on its hands! The 20.1-megapixel Panasonic FZ1000 is a camera whose competitor is clear: This is a challenger for the Sony RX10's crown, and it's a mighty impressive one indeed. At heart, both cameras are quite similar. The Panasonic FZ1000 and Sony RX10 are each based around 20-megapixel, 1.0-inch type CMOS image sensors. But the FZ1000 differs from -- and looks in some ways to better -- the RX10 in a number of key ways. It's more affordable, yet has a significantly longer 16x zoom range, a noticeably-faster 12 frames-per-second burst capture rate and 4K video support. It also has a more versatile tilt/swivel LCD monitor, a much higher-resolution electronic viewfinder, and a wider shutter speed range. On the flip side of the coin, it's rather bigger than its rival, especially in terms of depth. 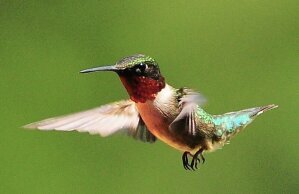 And perhaps not surprisingly, given the much greater zoom reach, it can't boast a constant aperture lens. Instead, its aperture lags that of the RX10 just slightly across most of the range where both lenses overlap. Nor does it provide quite the same wide-angle shooting opportunities, and battery life looks to be rather lower. In most respects, though, the Panasonic FZ1000 looks to give you a similar feature-set to its incredibly popular rival, just with a more affordable price tag and a whole lot more zoom range in a slightly bigger package. I've always been a fan of so-called "bridge" cameras, those long-zoom models with higher-end capabilities that substitute for an SLR for many people. At some point, though, their low-light/high-ISO limitations frustrated me. For a while I carried a DSLR everywhere; more recently it's been a compact mirrorless model of one sort or the other. Both solutions were pretty limited in terms of focal length, unless I wanted to lug some heavy glass with me. The mirrorless cameras were better in this regard, but I still missed the all-in-one efficiency of a good bridge camera. In the fall of 2013, though, Sony shook up the camera world with the release of their RX10. Finally, here was a camera with a reasonably large sensor (a "1.0-inch type"), and a wide-ratio f/2.8 zoom lens on the front! And it shot really great HD video, too! I first got hands-on with it at a Sony press event where we were also shooting with their full-frame mirrorless models, the A7 and A7R. As amazing as the full-frame cameras were, I found myself gravitating towards the RX10; it was just so much fun to shoot with. It wasn't by any means a compact, but was definitely smaller than a typical SLR, and it gave me a zoom range from 28-200mm equivalent. For an extended vacation, I might still pack a DSLR or Micro Four Thirds camera alongside the RX10, but chances are that I'd end up using the latter almost exclusively. The biggest drawback with the RX10 is its price; at US$1,300, it's a serious investment. Now comes the Panasonic FZ1000 to send another shockwave through the camera world -- including Sony. Compared to the RX10, the Panasonic FZ000 zooms 2x longer (all the way out to 400mm equivalent), while keeping nearly the same wide-angle focal length (25mm vs 24mm eq.) and shoots 4K video (also allowing "4K Photo" use -- more on this later). And it shoots up to 12fps at full resolution, or at 50fps at a five-megapixel image size, vs the Sony's 10fps, with both cameras having focus locked from the first frame. The FZ1000 also has a full tilt-swivel LCD screen, vs the tilt-only one on the Sony. About the only significant shortcoming on the spec sheet is that the Panasonic FZ1000's maximum aperture goes from f/2.8 to f/4.0, while the RX10's is a constant f/2.8. All this for US$900 or thereabouts, a whopping $400 less than the RX10. Let's take a bit of an extended walkaround of the camera. But while it's a fair bit bigger overall, the FZ1000 is almost indistinguishable from its competitor in terms of weight, at 831 grams (1.8 pounds) versus 813 grams, loaded and ready to go. So, while it looks a good bit bigger, the difference is such that it wouldn't affect my decision on which to carry. Nice grip! What you do get from the Panasonic FZ1000 in exchange for its size (beyond the longer lens, of course), is a considerably more comfortable grip. The FZ1000 feels great in the hand. I actually quite liked the grip on the RX10, but I guess this is a case of not knowing what you're missing 'til you've tried it. One place where the RX10 does win, though, is in how solid it feels. Being both smaller and yet almost as heavy as the FZ1000, it just feels solid. Some of the difference in feel is down to materials choices made on the FZ1000. Both cameras have a textured, rubbery coating covering their grip areas, but more plastic is left exposed in various places on the FZ1000's body. Its rubber coating stops short of the camera's base, doesn't extend quite as close to the lens on the left side, and doesn't cover the connector port door and surrounding area on the camera's right. None of this has any impact on the FZ1000's "grip-ability", but it does mean that your fingernails are more likely to come in contact with the plastic body shell. When that happens, you get the usual higher-pitched, plasticky resonance, which makes the camera seem less solid than it probably is. When it comes to shooting with the FZ1000, I find that the larger grip and slightly wider body make a noticeable difference in ease of operation. With the RX10, I'd complained about having to pull my index finger back so sharply to hit the shutter button. On the FZ1000, the shutter button is positioned further away from the right edge of the camera, and that combined with the thicker grip makes it much more comfortable to trip the shutter. My fingers aren't as scrunched on the grip, so the FZ1000 feels much more balanced and pleasant to shoot with. The other top-panel controls are also much easier to operate, and I really like having the movie button on the top deck, versus the rear panel as in the RX10. Positioned as it is, the FZ1000's movie-record button is just a quick slide back from the shutter button, and impossible to miss. It might be a personal preference thing, but I really like the way the designers positioned the FZ1000's shutter and movie buttons. Zoom and focus control. The FZ1000's aperture is electronically controlled, unlike the mechanically-coupled one on the RX10, so there's only one control ring on the FZ1000's lens barrel. A switch on the side of the lens lets you choose to control either focus or zoom with it. The only other control on the lens is the IS on/off selector. Focus and zoom via the control ring are typical for fly-by-wire systems -- that is, not nearly as responsive as purely mechanical couplings. I have the same complaint about the FZ1000 here as I did about the RX10: Why not make the control ring velocity-sensitive, so it would make large adjustments when turned quickly, and smaller ones when rotated slowly. I guess it's possible that the zoom motor just can't rack the lens any faster than it does currently, but I'd sure like the ability to zoom a little quicker, and with less movement of the ring to accomplish it when I'm making large changes. Manual focusing. When focusing manually, you can choose to have either a magnified display or focus peaking enabled, or to have both at once. Initially, I was a little disappointed with the enlarged view, as I found it only zoomed up to 6x; not enough for precise focus adjustment, at least not in my book. Checking the manual, though, I discovered that pressing in on the control wheel at the top of the camera's rear panel toggled between a picture-in-picture magnified display, and one covering the entire screen. EVF and LCD. The Panasonic FZ1000's image displays are just amazingly sharp and crisp. I suspect that the rear-panel LCD is the same 921K-dot one that everybody else seems to be using these days, but it seemed unusually sharp to my eye. Because it's a WhiteMagic RGBW panel, the RX10's display has more dots (1,229K), but both FZ1000 and RX10 have the same number of actual pixels (307K). Despite the extra white dots on the RX10's panel, which are intended to increase brightness or reduce power consumption, details on the FZ1000 seemed sharper, at least to my eyes. I think that subtle gradations on the FZ1000's LCD were also rendered more smoothly. But having said that, the RX10's screen was noticeably brighter outdoors. I've not had a chance to try both cameras side-by-side under full noon sunlight, but at least in late afternoon sun, the difference between both was very clear. Be that as it may, though, the Panasonic FZ1000 has a gorgeous screen -- and its electronic viewfinder is even more of a treat. I'd say that it's the best-looking EVF I've seen to date, except that I've also seen the EVF in the Panasonic GH4, and the same OLED screen and optics are used in both. It has a fairly wide field of view, but the downside to that is that eyeglass wearers like me do need to press their lenses tight against the viewfinder bezel to be able to see everything. Once you manage to look through it, though, the view is unbelievably smooth and sharp. (Well, OK, maybe it's believably smooth and sharp, but it is pretty amazing.) I'm not generally one for counting either dots or megapixels, but the OLED screen in the FZ1000 has 2,359K dots, to the Sony's 1,440K. The difference isn't subtle at all: It's immediately and pretty dramatically visible when looking through first one, then the other. While not directly related to the EVF or LCD, this seems like as good a place as any to mention the FZ1000's HDMI output capability. Of course, it supports standard 1080 output (both progressive and interlaced), but it can also output still images at 4K resolution if you're lucky enough to have a HDMI 1.4a-compliant TV or monitor capable of displaying that. We have a 28" 4K monitor here at IRHQ, and I have to admit that there's maybe something to this 4K thing after all, unlike the 3D TV fiasco. Looking at high-res still images on a 4K monitor is really an entirely different experience than viewing at standard 1,920 x 1,080. User interface. The Panasonic FZ1000's user interface is a pretty rich one, given all the configurable buttons, and there's a fair bit of depth to it. I can usually pick up a camera and find my way around pretty easily, but it's been a while since I've really exercised the user interface on a Panasonic camera, so it took me a little bit to sort out the FZ1000's UI. It's not that there's anything particularly obtuse about it, it's just that there's a lot there, and there's always the question of initially figuring out where to look for everything. One of the things I really liked about the RX10 (and a number of other high-end cameras from Sony) was the extent to which the UI is configurable. There are a number of buttons or controls you can assign functions to, and a very broad range of functions that you can assign. While the RX10 wins in the number of configurable buttons (seven vs five on the FZ1000), the fact many of the predefined buttons have functions I'd want to assign to configurable ones (ISO, white balance, and AF area mode in particular) means that I ultimately end up with more control on the FZ1000. One positive point in Sony's favor, though, is the presence of a dedicated exposure-compensation dial, a function I use a lot, and that I suspect is very frequently used by other photographers as well. It occupies space that could be used for another function button, but I'd always have one button somewhere assigned to exposure compensation, so the fact that it takes up a potential button position is moot, and I really like the fact that exposure compensation is always available, without having to call it up on the display screen. Overall, the Panasonic FZ1000 has a highly configurable and very powerful user interface, but also one that could be a little confusing to the neophyte. On the other hand, this isn't a camera aimed at the neophyte, and the RX10 forces you to configure a number of the controls for them to have any utility at all. As much as I like the RX10's UI, and despite what I perceive as a steeper learning curve with the FZ1000, I think I have to give Panasonic the nod when it comes to user interface. Scene modes. Just a very brief mention here, but the Panasonic FZ1000 has quite a rich collection of scene modes, including a couple of my personal favorites that were first introduced by Sony, namely Handheld Night Shot and Panorama (called Sweep Panorama by Sony). Handheld Night Shot captures a rapid sequence of shorter exposures, then micro-aligns them and combines them into a single image. This cuts blur from camera motion, but also gives much cleaner images than simply using a higher ISO would. Panorama mode lets you pan the camera in front of you, while holding down the shutter button. The camera will capture a large number of shots, then align and splice them together into a panorama. Various camera companies have emulated these modes with varying degrees of success, but Sony's always had the best implementations. I'll reserve final judgment until we can test these modes in a production model, but in my little bit of playing with them, they seemed to work pretty well. In Handheld Night Shot mode, the camera is pretty much in full auto mode so you in particular have very limited control over white balance. You can make the two-axis adjustments you can do in any white balance mode, but settings like incandescent or Kelvin white balance aren't available. Why, oh why is this? It seems like this would be a very easy option to add, and would make these modes much more appealing to enthusiast users. Overall, there are no fewer than 25 different scene modes. I personally rarely use a scene mode, but looking over the assortment the FZ1000 offers, I could see myself getting into playing with them a little. Video. The Panasonic FZ1000 and the Sony RX10 are both designed to be video machines, as much as they're excellent still cameras. The RX10's video quality is unusually high, thanks to full sensor-width readout and firmware downsampling for its Full HD video. At its maximum 4K resolution, the FZ1000 records using pixels from an eight-megapixel area at the center of the sensor, increasing the focal length crop by 1.48x, for a rather tight 35mm-equivalent focal range of 37-592mm -- good news if you shoot at telephoto, but not if you're a fan of wide-angle video. At Full HD resolution, however, the FZ1000 uses the full sensor width and then bins pixels on-sensor, potentially achieving a similar result to that of the RX10. Stay tuned for our eventual video tests to see which camera wins, but it's nice to see cameras doing something other than simple line-skipping, which can introduce a lot of aliasing and moiré artifacts. A standout feature of the FZ1000 is its ability to shoot 4K video completely in-camera, providing that capability of the GH4, but at a much lower price point. We suspect few of our readers will care a whole lot about shooting 4K video in and of itself, but there's perhaps a different way to think about it for still shooters. Consider this: Each frame of a 4K video clip is an 8 megapixel image. Rather than thinking in terms of recording and playing back video, consider the prospect of an 8-megapixel camera with a 30fps continuous shooting mode and no buffer limits. Panasonic calls this use case "4K Photo", and we think they may actually be onto something. The FZ1000 makes it relatively easy to shoot 4K video and then extract 8 megapixel images from it. Just play back the video, pause it where you want to grab a frame, and press the center button of the 5-way controller. The current interface isn't perfect, as you'd ideally like to be able to step through the video frame by frame to choose your shot, but when we were briefed on the camera, Panasonic told us that they'll have an improved interface for this coming via a firmware update in the near future. Panasonic's mighty megazoom takes on the Tomato Festival! The Panasonic FZ1000 is a camera that interests me greatly. Last year, I reviewed the Sony RX10, and this is about as clear and direct a competitor to that camera as one could ask for. And both cameras speak to me, because now that I have a five year old son, I'm finding that when traveling I seldom have space to bring my DSLR kit. Whenever I'm headed on an overseas trip, there are just too many little essentials, toys, and whatnot that need to be packed in my carry-on. Something invariably has to give, and it's usually my DSLR and lenses that have to make way, swapped for a more compact camera. Mirrorless certainly saves some heft with the body, but quality lenses generally aren't radically smaller than their DSLR counterparts. And while a compact camera like my Sony RX100 is undeniably portable, I sacrifice a lot in terms of versatility for its pocket-friendly nature. The Sony RX10 appealed to me a lot, because while not pocket-friendly, it's still much smaller than an interchangeable-lens camera outfit with similar coverage. The same is true of the Panasonic FZ1000, and while it's a little bigger, it offers almost double the zoom range. I've yet to see both cameras side by side -- I expect to do so before my second shooter's report -- but the FZ1000 is of similar size to my Pentax K-5 DSLR with 18-55mm kit lens mounted, even if you count the FZ1000's deeply-protruding viewfinder. Now that I'm familiar with the FZ1000, how's it compare to the Sony RX10? Click below, find out! It's time for a large-sensor, long-zoom head-to-head! Shortly before the biennial Photokina tradeshow, we kicked off our review of the Panasonic FZ1000 with a real-world shoot at a nearby tomato festival. We'd planned on this second part of the report following rather sooner, but the flood of tradeshow work -- among other things -- threw a spanner in the works. Still, the delay meant that we had another chance for a splash of vibrance, as I recently went shooting the fall colors in downtown Knoxville, Tennessee. And for this second and final Field Test, I had the Panasonic FZ1000's main rival -- the Sony RX10 -- along for a side-by-side comparison in the real world. It was interesting, to say the least! Want to know what I learned when shooting the FZ1000 and RX10 head-to-head? How does Panasonic's first large-sensor megazoom stack up? Sensor. At the core of the Panasonic FZ1000 is a 1.0-inch type CMOS image sensor, described by the company as a High Sensitivity MOS chip. It's approximately the same size as used by the Sony RX10, and with an effective resolution of 20.1 megapixels (20.9 megapixels total), it has roughly the same resolution as well. In terms of surface area, a 1-inch chip is approximately four times the size of the 1/2.3-inch sensors used in most compact cameras, and about 7-10 times the size of a typical sensors used in camera phones. At the same time, though, it's only half the size of the sensors used in Micro Four Thirds mirrorless cameras, and 31-35% of the APS-C sensors used in many interchangeable-lens cameras. Processor. Providing the power necessary to capture 4K video and shoot full-res stills at high speed, the FZ1000 pairs its sensor with a newly-developed, quad-core Venus Engine image processor. Developed specifically for the FZ1000, the processor includes various algorithms for handling noise in different ways, including Multi Process NR (variable according to component frequency), Random Filter (fights chroma noise), and Aperture Filter (controls sharpness based on frequency). How does the Panasonic FZ1000 compare to its Sony rival on paper? Read on! 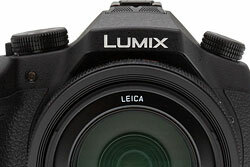 Click to read about the Panasonic FZ1000 tech insights! Can Panasonic slay the mighty RX10 with its megazoom challenger? The FZ1000 is aimed head-on at the Sony RX10, so we were keen to see how image quality would compare against its main rival. Note that this comparison was originally made with pre-production firmware but we've updated it with crops from production-level version 1.0 firmware. You can expect side-by-side comparisons with other cameras before we finalize the review. These images are best quality JPEGs straight out of the camera, at default settings including noise reduction and using the camera's actual base ISO (not extended ISO settings). Come, pixel peep, and choose which camera shall be the object of your desire! How does it look on paper? The Panasonic FZ1000 delivers solidly in the print quality department up to ISO 1600, which is the highest ISO we recommend for this sensor size. It slightly outperforms its biggest competition, the Sony RX10, at ISO 200 and 400 by one print size. Looking side-by-side, Sony's default JPEG processing generates too much in the way of unwanted artifacts, and thus the print size difference. At higher ISOs, however, the RX10 pulls slightly ahead, allowing for one print size larger at ISO 6400 and 12,800. A fairly close race, but if you remain at ISO 1600 and below the FZ1000 is the better choice for JPEGs at default settings in print. Read our print quality analysis for recommended maximum print size at each ISO! The Panasonic FZ1000 is an extremely interesting camera, and one built with a very clear rival in mind. Like the Sony RX10 before it, the FZ1000 offers SLR-like styling, yet promises to free you from the hassle of choosing, buying, and carrying a plethora of lenses to cover every possible shooting situation. Unlike an interchangeable-lens camera, the FZ1000 provides a single built-in lens that covers all the bases, and does so with a bright f/2.8-4.0 maximum aperture which ensures you capture as much light as possible. And like the RX10, the Panasonic FZ1000 provides a roomy 1"-type image sensor that offers much greater sensitivity and noise characteristics than typical long-zoom, fixed-lens cameras. We were fortunate in our review to be able to compare the Panasonic FZ1000 against what is, essentially, its sole rival, and it made for a very interesting comparison indeed. Sony set an extremely high standard with the RX10, and when we reviewed that camera last year, we found a whole lot to like. Panasonic has clearly risen to that challenge, though, because in quite short order we found ourselves liking the Panasonic FZ1000 even more than its Sony rival. Want to know whether to spend your hard-earned cash on the Panasonic FZ1000 or Sony RX10?